While there’s no way you’re going to become as qualified as a professional plumber after reading one article on the internet, you’ll certainly be more knowledgeable. By boosting your plumbing know-how you’ll not only save yourself potentially messy problems, but you’ll also save a lot of money. Sometimes calling a professional plumber is inevitable. However, unlike renting tenant, a homeowner has to cover the charges. Therefore, it’s in your best interest to DIY wherever you can. There are a few key plumbing tips that can avoid disasters in a pinch. By applying these basics, you can help keep your plumbing system running smoothly. You know those metal things over your drain that you always take out when you do the dishes? Put it back in! Allowing food debris to get into your pipes is asking for a blockage. Unless you have a garbage disposal, no large chunks should be going down your drain. The sink strainer is there to (you guessed it) strain out all of the stuff that could do harm to your plumbing system. Don’t take it off! Some people are so conscious about wasting water that they turn their taps off entirely too tightly. There’s no need in breaking your tap. Tightening your faucet too much each time will wear it out quickly. Instead, be careful and turn it off only as far as it needs to go. If it’s still dripping, maybe it’s time for a replacement. Just Say No to Grease! Don’t even think about pouring your excess grease down the drain from your cooking. Cooking grease may go down the drain as a liquid, but once it cools it will solidify and block your pipes. Instead, let the grease cool, and pour it into a container that can go into the trash. Your plumber will thank you! One of the biggest causes of home flooding is due to washing machines. The best way to guard against washing machine leaks is to check the state of your hoses regularly. Over time, they can start to crack, allowing water to escape. Keep an eye on them every few months to see if they need replacement. It’s a lot cheaper than paying for damages from a flood! In case of an emergency, you should know how to turn off the water supply of your home. 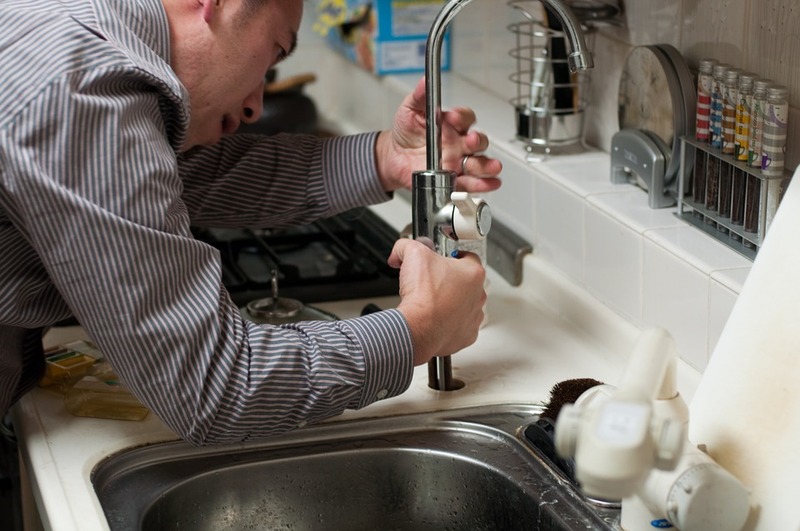 When you first move into your home, it’s crucial to locate the water shutoff valve. You can usually find it in the basement or on an outside of the house.